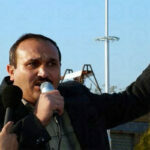 Human Rights Activists News Agency (HRANA) – Ebrahim Nouri, an Azerbaijani civil rights activist from Ahar, has entered the first days of a six-month prison sentence for a case opened against him in 2016. 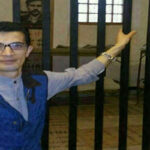 After being arrested during a gathering at Babak Fort, he was denied the right to post bail and imprisoned in Ward 209 of Evin Prison on July 2, 2018. An informed source told HRANA that Nouri contacted his family from Ward 209 at that time, informing them of the $29,000 USD bail set for him. 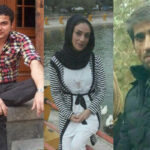 In July, HRANA reported on Ebrahim Nouri’s arrest by security forces at the Babak Fort gathering. In a press release on August 11, 2018, Amnesty International called the recent arrests of Azeri people “arbitrary” and unlawful, and demanded the immediate release of Ebrahim Nouri and all other individuals detained for their participation in an Azerbaijani Turkic cultural gathering. 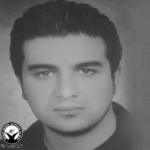 Stemming from a 2016 arrest, Nouri was sentenced by Branch 1 of the Criminal Court of Ahar to his current sentence of 6 months’ imprisonment, on a charge of “Propaganda against the regime”. 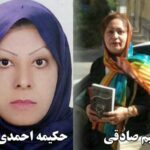 In February 2018, this sentence was confirmed by Branch 26 of the Appeals Court of East Azerbaijan Province, under the supervision of Mikaeil Khoubiarpour. 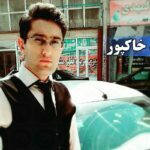 Nouri, a law student, has a record of being detained for civic activities, beginning in 2005 when he was arrested and interrogated by an IRGC Intelligence unit. In 2009 he was sentenced to ten months’ imprisonment, suspended over five years, on a charge of propaganda against the regime. He was arrested again by security forces on January 17, 2013, and released on a bail of approximately $24,000 USD five days later.